The results are very interesting, and show that devs using Vue.js (and also React) are usually happy with their choice. 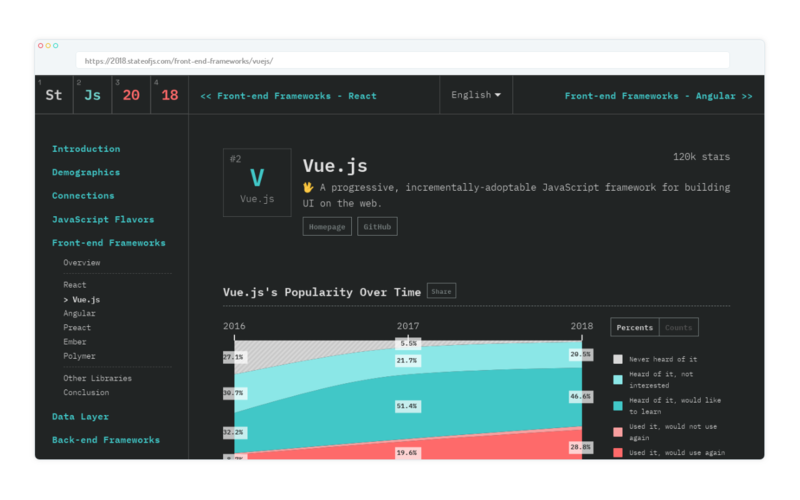 Devs love Vue.js for it's easy learning curve, as well as it's general programming style / patterns and the good documentation. The team behind the report: Sacha Greif, Raphael Benitte and Michael Rambeau!